A massive thank you to all at Kindergarten Day Nursery in Hunts Cross for hosting a huge range of fundraising activities over the past couple of weeks. Leaders Paula Moss & Julie Williamson reached out to The Megan Hurley Foundation and asked if this would be a possibility & we are so glad they did! Ellie, Paula's daughter was in Megan's year at school & those at the nursery have a connection with the charity, each of the children took part in a sponsored walk, Christmas jumper days & a wear orange day! Kindergarten Day Nursery has been in the community for 30 years and offers childcare in a warm, relaxed homely environment. They are based in a detached property and children are cared for within four rooms on the ground floor. All children share access to enclosed outdoor play areas situated to the front and rear of the setting. 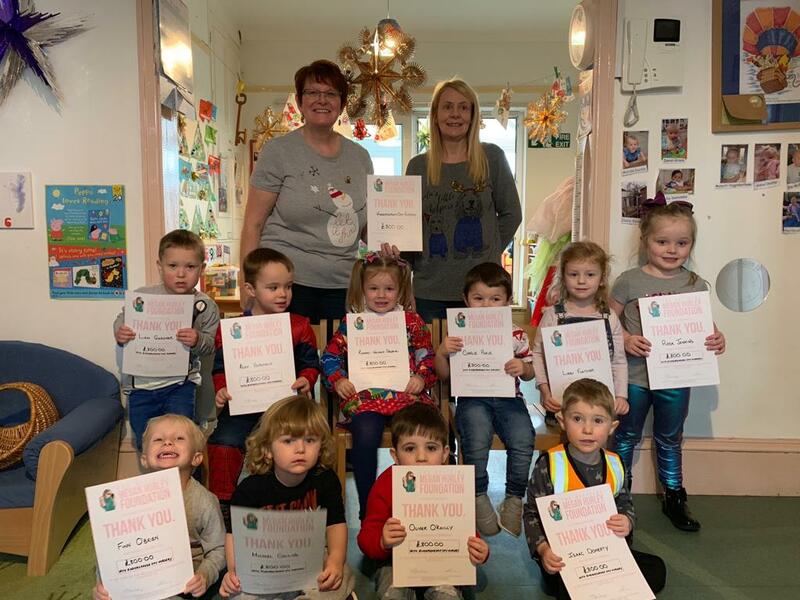 The Day Nursery has raised an amazing amount of money for the Megan Hurley Foundation and we can't thank everybody enough for getting involved and participating! Staff were awarded their own 'Megan Hurley pin' for taking part in fundraising for our charity. To find out how you can get involved by starting your own fundraising & have the chance to get your very own 'Megan Hurley pin' then please click here.